I have a unique experience as one of the Southwest Regional Fellows. Not only do I get to work with college campuses, congregations, and schools, but since I am based in Southern California I also get to work with some incredible Fair Trade Town campaigns – including Los Angeles, CA. 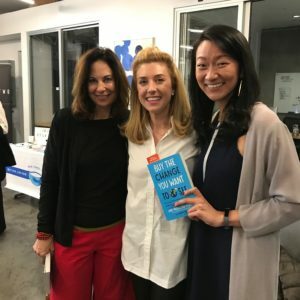 Fair Trade LA (FTLA) is working toward becoming the largest Fair Trade Town in the United States. With a goal this big, it takes a team of dedicated advocates to reach it. 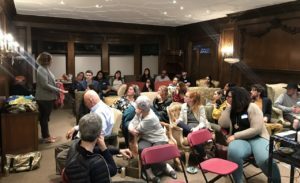 Fair Trade LA began in 2005 with five dedicated individuals who gathered to discuss ways to broaden and deepen awareness of Fair Trade in Los Angeles and surrounding communities. Their dream was that consumers would come to understand and value how a new way of thinking and acting can directly improve the lives of farmers, workers and artisans around the world. Part of Fair Trade LA’s path to designation has been to partner with different organizations, speakers and even other town campaigns. Through monthly ‘FAIR Talks,’ FTLA community members have heard from leaders on the ground such as The Tote Project, Kishe Coffee and NYC Fair Trade Coalition. Through these educational gatherings, relationships are built among those in LA. 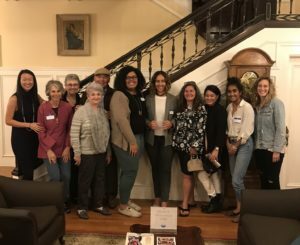 Another way that Fair Trade LA is leveraging partnerships is through connections with local college campuses. Los Angeles is home to several Fair Trade colleges and universities, including Loyola Marymount University, UCLA and Mount Saint Mary’s University. In one partnership with Mount Saint Mary’s University, Fair Trade LA hosts their monthly meetings on campus. FTLA has been able to reach more people with the message of Fair Trade, and has the space to mobilize and strategize outreach efforts. An exciting new partnership that has emerged for Fair Trade LA is the Ambassador Program. This program is aimed at individuals who are interested in getting firsthand experience in grassroots activism and have an interest in Fair Trade, or want to plug into a community in LA. Fair Trade Ambassadors have the unique experience of growing the Fair Trade movement in Los Angeles. 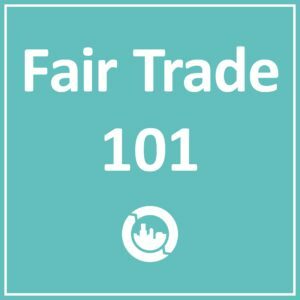 They work hand in hand with staff and volunteers to help identify, connect and follow up with local Fair Trade organizations and business. The ambassador program has been extremely beneficial for Fair Trade LA as it has helped to build relationships with our college student population. In my role with Fair Trade LA, and as a Fellow, I had the opportunity to chat with the current ambassador, Kristen Soares, Environmental Science major at UCLA. Why did you choose to be part of Fair Trade LA? KS: I chose to be a part of FTLA because I’ve always been drawn to Fair Trade as an activist for environmental justice, and Fair Trade combines environmental sustainability with fair rights for the people most affected by the issues surrounding production of goods. As a student at UCLA, FTLA seemed like the perfect fit. This program has given me the opportunity to take the classroom and put it into practical use, and I have been able to get a scale level experience of Fair Trade. What are you most excited about for Fair Trade LA? KS: I’m most excited to become the largest Fair Trade city in the US! Becoming the largest town will provide knowledge of Fair Trade products in LA, the impact of Fair Trade and the accessibility of those products to so many people. Fair Trade has been such a good way for me to engage with the Fair Trade movement, I am excited to see how others are also able to engage! Fair Trade LA is a community I have gotten to know on a deeper level from this Fellowship. 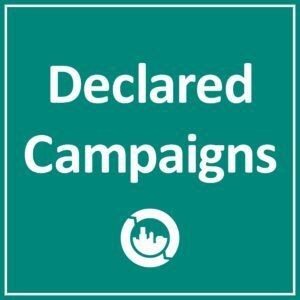 I have thoroughly enjoyed being a part of this dedicated and passionate community of advocates pursuing a more just and sustainable world. I personally have loved being able to work hand in hand with such a joyful and zealous group of people, all in partnership to create a brighter future. 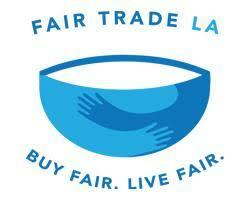 Interested in becoming a Fair Trade LA Ambassador? Reach out to Jasmine at jasmine@fairtradecampaigns.org.